Do you know how many children there are living in care in England? How much local authorities spend a year on foster or residential place for a child? What proportion of children in care passed five GCSEs including maths and English? Without answers to such questions, it’s hard for local authorities and the Department for Education (DfE) to improve services. And with young people who have had a background in care more likely to face problems such as unemployment, homelessness; contact with the criminal justice system; or mental health issues; there’s a strong need for improvements. That’s why in 2014 we began a series of reports on children’s services and have recently published a highly illustrated, ‘easy read’ report for the children themselves. Although there is lots of information available about children in care, it is worrying that until we pulled together the numbers in our Children in care report some of this vital information was not well known or used to improve services. The answer, by the way, to the question of cost to local authorities is – it varies. On average, a foster place for a year costs £30,000 and a residential place £130,000. But different authorities paid different amounts for the same care and, concerningly – given the great cost difference – nobody knows which is better for the children. Moreover, neither DfE nor local authorities have a strong understanding of what drives the costs. Local authority staff also don’t know how well their services compare with others. To help them we have written this quick-guide to the main numbers and trends and our recommendations. Children’s early experiences have long-term impacts on their emotional and physical health, social development, education and future employment. With 62% of children in care because of abuse or neglect, the aim of taking children into care is to protect them from further harm, improve outcomes for them, and address a child’s basic need for good parenting. But services for children in care are not improving quickly enough. Moreover, we found that more needs to be done to give these children the same opportunities as other children. What’s the state of services for children in care? Children don’t think their wishes are taken into account, though the law says they should be. Children and young people don’t think people talk to them or listen to what they say – probably because they don’t. Their views are seldom reflected in decisions taken about them. This is why we produced our findings and the government’s response in an ‘easy read’ format, to share with children and young people and those working with them. Increasing demand and complexity. The demand for care and support for vulnerable children is increasing and varies significantly across England. Local authorities are finding it harder to assess needs and demand for care. More children with complex needs and disabilities are coming into care and councils expect to see more referrals linked to child sexual exploitation. Unless needs are correctly assessed and met effectively there are significant long-term costs of children not getting the right care. 34% of children in care had more than 1 placement during the year. But 14% of foster children and 34% of those in residential care were placed more than 20 miles from home. But there is a huge gap (43% points) between the GCSE scores of children in care and their peers. The quality of services is poor. According to Ofsted, in August 2016 only children and young people looked after by the Royal Borough of Kensington and Chelsea, and Westminster City Council received an outstanding service. The majority of local authorities’ services require improvement or are inadequate. Local authorities don’t know what works. We did find some good examples of local practice, for example, we heard about North Yorkshire’s ‘no wrong door’ scheme. But these examples were not shared well enough nationally and there is no single repository for good practice with looked after children. No-one knows what children’s social services should cost. The costs of care vary hugely – for example, annual spending ranges from £15,000 to £57,000 for councils’ own foster care provision. In part this is because there is a lack of consensus among local authorities on how to cost services. Locally, children’s services departments need good information on what they spent and what they got for it. Without these basic building-blocks, services can’t improve and DfE will remain unable to hold local authorities to account effectively. So what do central and local governments need to do? Firstly, they need to work together to find out what’s the best form of help for children in care. DfE recognises the need to find out and share what works and is doing something about it – many local authorities are involved in the department’s Innovation Programme, and a new ‘What works centre’ is planned. For these are to be effective, all local authorities – not just the ‘usual suspects’ – must commit to developing, sharing and adopting good practice. Secondly, they need to get a grip on how to calculate how much it costs to help children in care. Combined with a clear measure of what gets results, local authorities could make better decisions about how spend their limited resources. 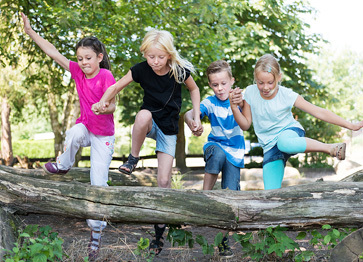 Delivering good children’s services isn’t child’s play, but it can be done. It requires a commitment from all parties to evaluate what works and what doesn’t, and share that information widely. It will be interesting to see how effective the Innovation Programme and new ‘What Works Centre’ are in helping make this happen. We would love to hear your comments on this crucially important subject. We will be publishing our next report this autumn, on children in need of help or protection. To discuss this or any aspect of our work on children’s services, please also feel free to contact us. 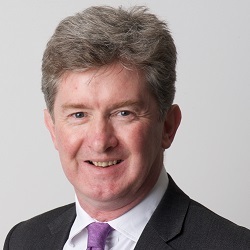 Ashley McDougall is Director for Local Service Delivery studies at the NAO, and responsible for cross-cutting studies involving local and central government. He has worked at the NAO since 1987 on subjects as diverse as aircraft carriers, the BBC and Kids Company. His underlying interests include the best way to balance local delivery and innovation with system-wide accountability, and how the integration of health and social care can offer improved services and better value for money. 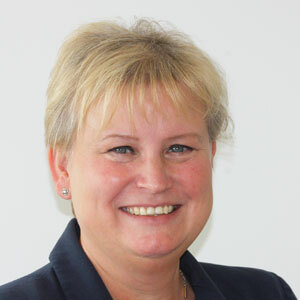 Linda Mills has been an Audit Manager on the Education Value for Money team at the NAO since April 2013. In the past two years Linda’s focus has been our work on children’s services. Prior to this she has worked on a wide range of reports, including grant making in government, estate management and government digital services. Linda worked in economic consultancy before joining the NAO in 2001.